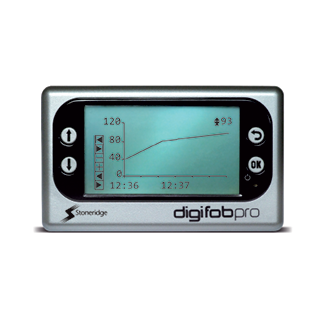 digifobpro provides instant and full data analysis in your hands, thanks to its high-visibility LCD screen. Information – displays periods of inactivity and weekly rest. Infringements – displays infringements 561/2006. Summary – displays weekly totals for drive, work & POA. Latest – displays last activity, when daily rest must be taken by, totals for last shift and shows last daily rest. Weeks – the user can specify the weeks to view that above information, between 1 to 20 weeks or all weeks.